This unique masterpiece was released back in 2015 in limited quantities. 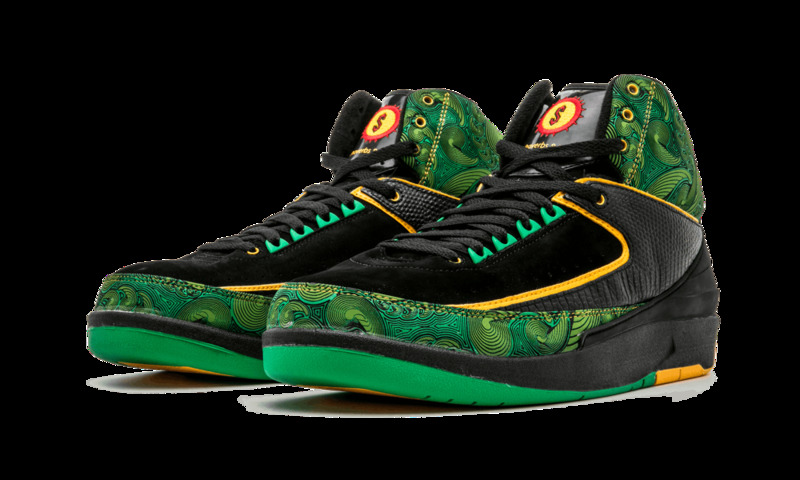 The Doernbecher Air Jordan 2’s rock some crazy features everywhere you look. 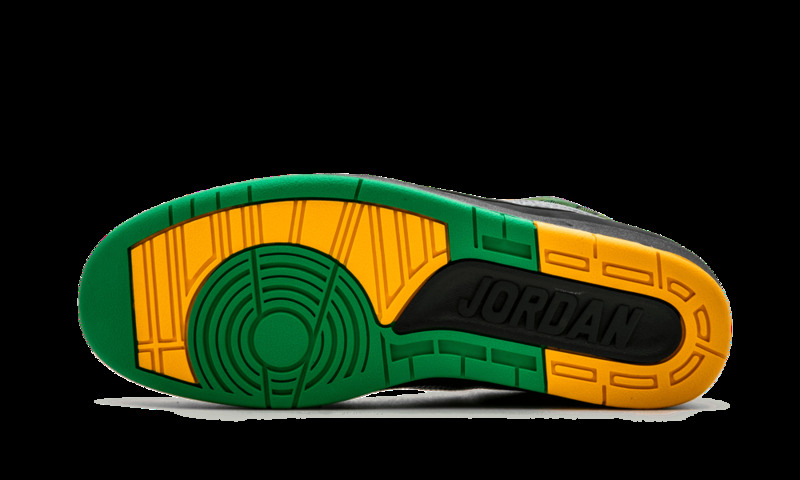 The sole is a dope split between yellow and green, with a bold black Jordan stamp. 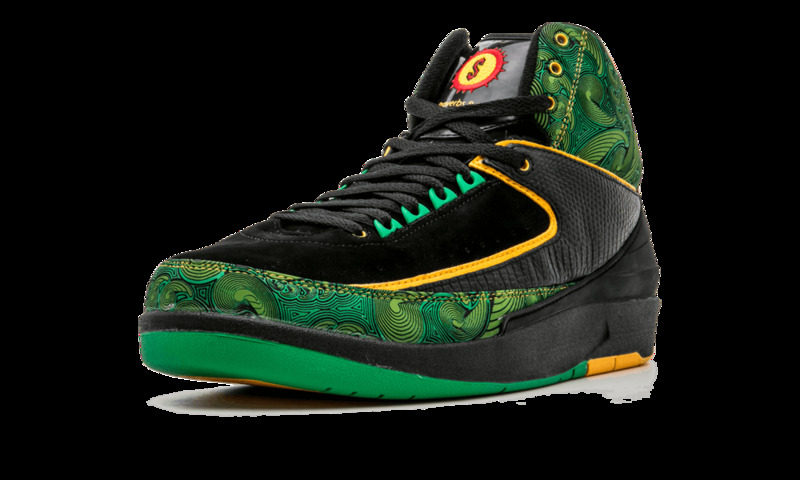 Up top, we have thick rubber black midsoles, beneath a black rubber mudguard on the back heel. 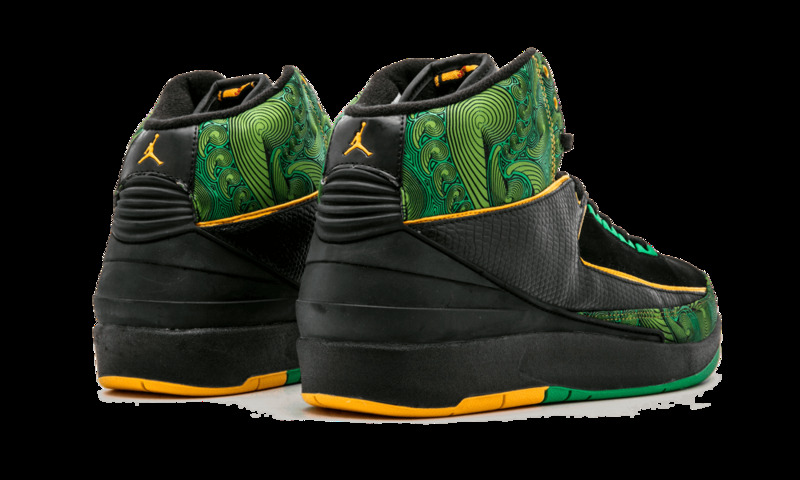 Above that, shiny black textured leather is traced by a bright yellow trim. 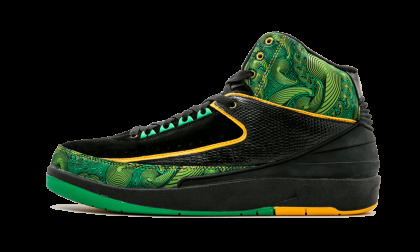 The final and most memorable detail is the crazy green swirl-detailed leather on the shaft and toe trim.